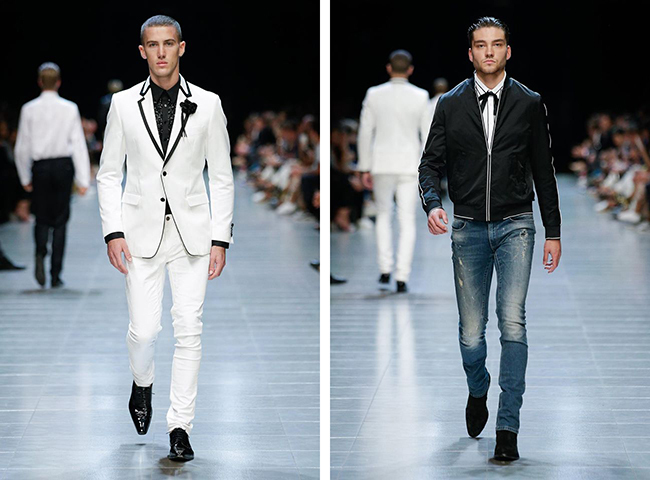 The style dial was set to thrill at the GQ Australia Menswear Runway on Friday 17 March. 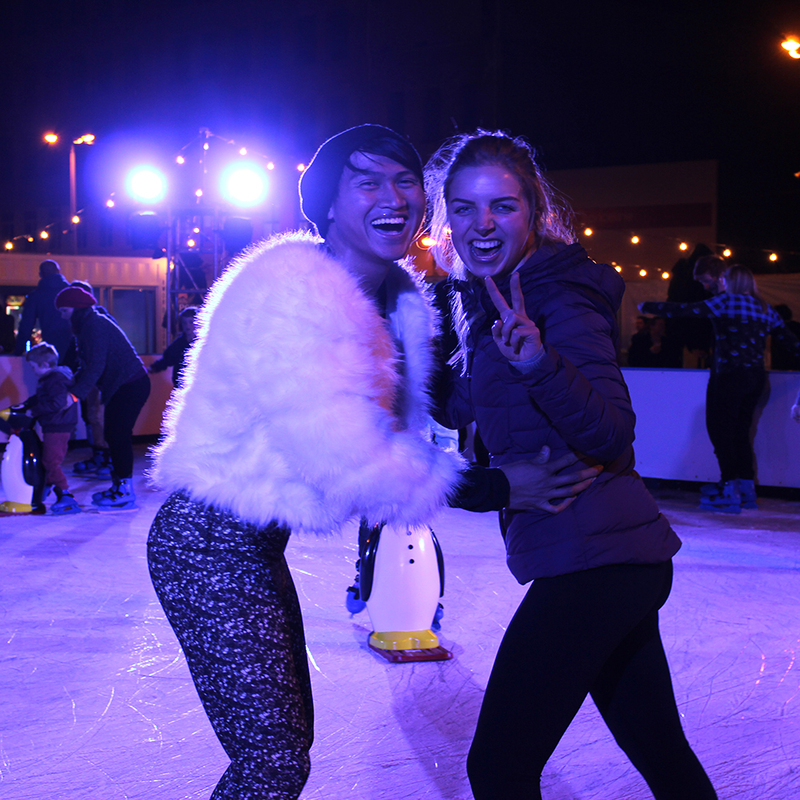 Set in the majestic Royal Exhibition Building, it was a highlight show as part of the packed schedule for the 2017 Virgin Australia Melbourne Fashion Festival. 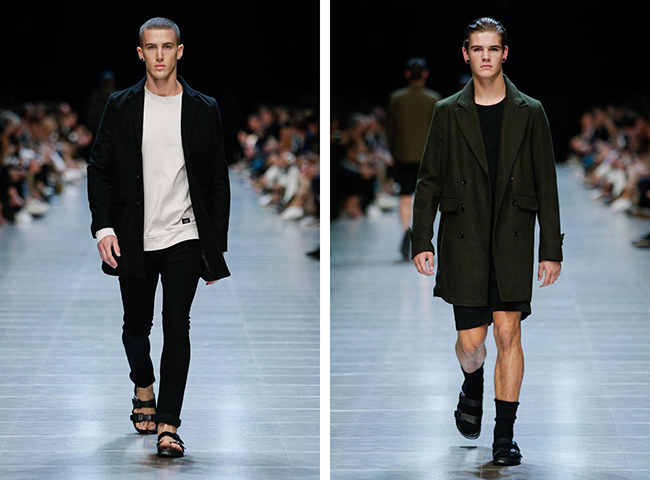 Let’s take a look at the key trends you’ll be wearing this autumn and winter. The event kicked off with a dark and broody rock soundtrack evoking a sense of power and mystery. 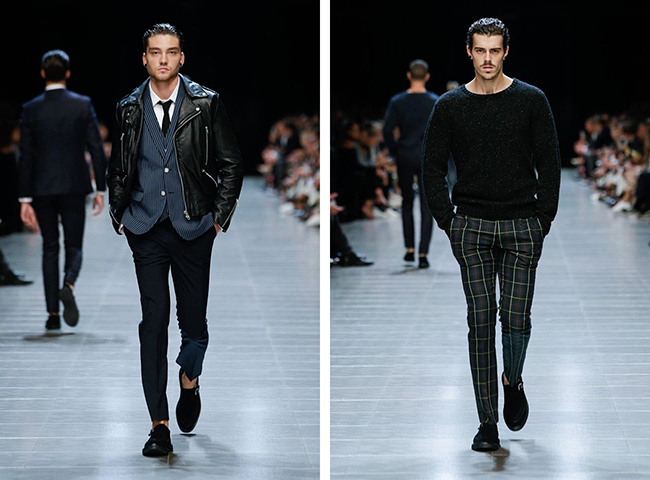 Taking the runway by storm, Jack London presented an edgy line of grungy leather jackets styled with tartan checkered suits and a collection of dark knits, creating a polished look for the guys. 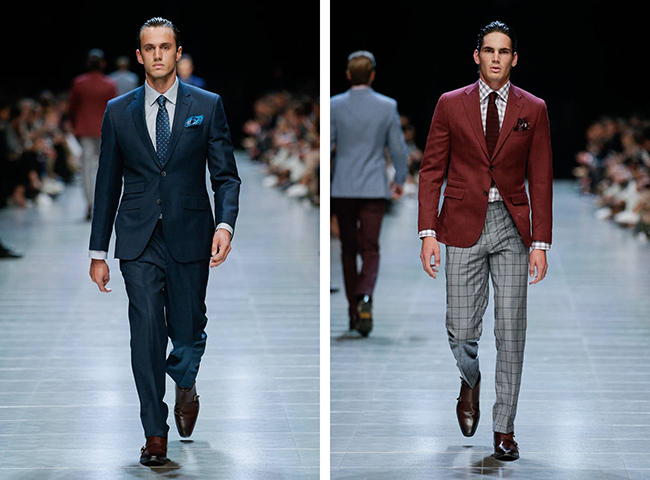 For the stylish gents, Dom Bagnato lived up to the hype and presented a vision of bold blue suits, illustrating his contemporary classic looks mixed with Italian style. This alluring line oozed charisma and stark sophistication, evident through his remarkable craftsmanship and tailoring. Calibre delivered a collection of their recognisable signature elements, incorporating new contemporary pieces in their Fall/Winter line. 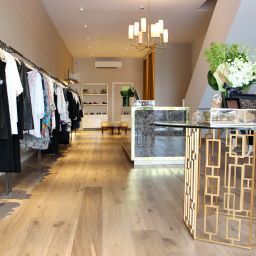 Calibre’s premium fashion looks included leather biker jackets, the perfect tailored pants, checkered knits and silver zipped bomber jackets, offering the highest quality casual garments, through to their exquisitely made sharp suits. 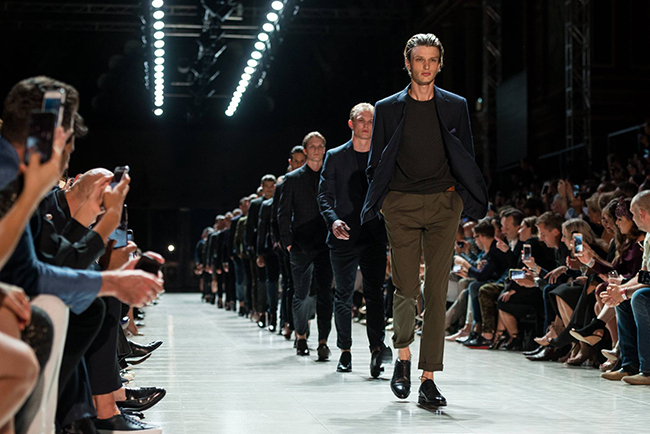 Autonomy exposed their quality, superior fits and abiding style on the GQ Runway. Drawing their inspiration from timeless apparel pieces that are everyday essentials for the “IT” man, who seeks durable and long lasting pieces he can treasure. 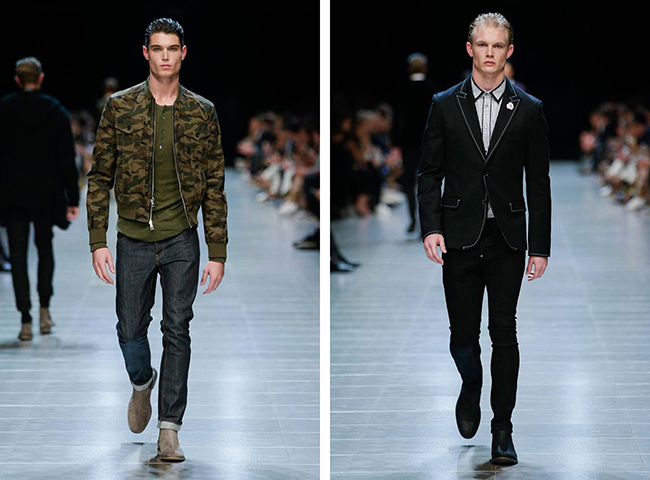 Some of these looks included navy blue jeans styled with a dark knit and trendy bomber jacket for a virile edge. One designer that definitely spoke to the masses, was Arthur Galan’s collection that exuded directional street style and masculinity. His use of camo stood out with his new take of adding gold chunky zip detail on jackets and pants. The explicit skill and use of superior fabrics, definitely set him apart. This show offered an intriguing vision on macho elegance, capturing viewers through cutting edge style and modern looks on the Runway. VAMFF wrapped up the shows end with an exciting strobe light effect display, exuding a strong finish to an efficacious evening. Set your entertainment level to fabulous! 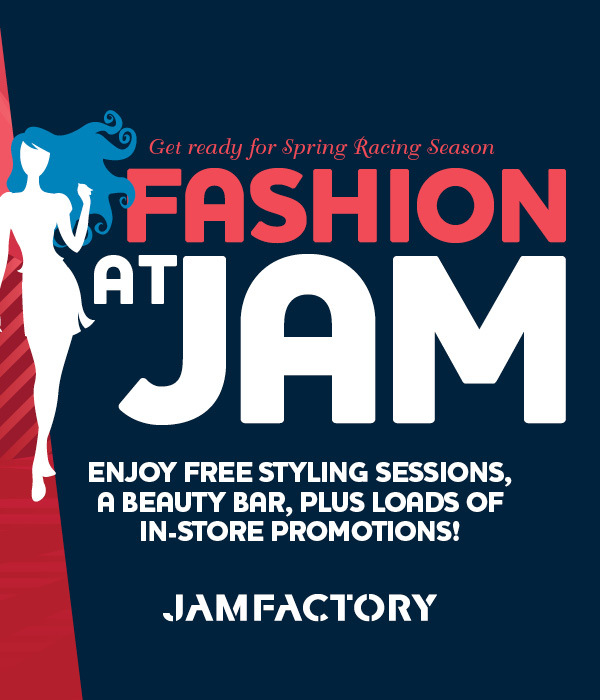 Fashion at Jam! This Weekend!